Dr.Djakababa has taught Southeast Asian history at UW-Madison and the Southeast Asian Studies Summer Institute (SEASSI). He has done extensive research using oral and written sources at Cornell University, Indonesian National Archives (ANRI) and various private collections in Jakarta and The United States. 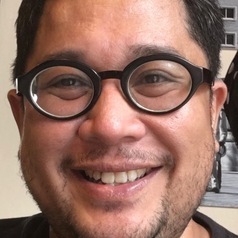 He has published some of his essays and book reviews in The Jakarta Post, The Van Zorge Report, Journal of Current Southeast Asian Affairs and The Journal of Asian Studies. His research interests include modern Indonesia and Southeast Asian history, colonial period, national revolutions, military, cold war, authoritarianism and 1950's and 60's Indonesian social history.